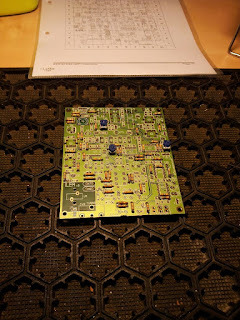 Last weekend I started, after reading the manual several times, with soldering the resistors on the PCB. All 51 resistors are mounted, except P3, the AF control. 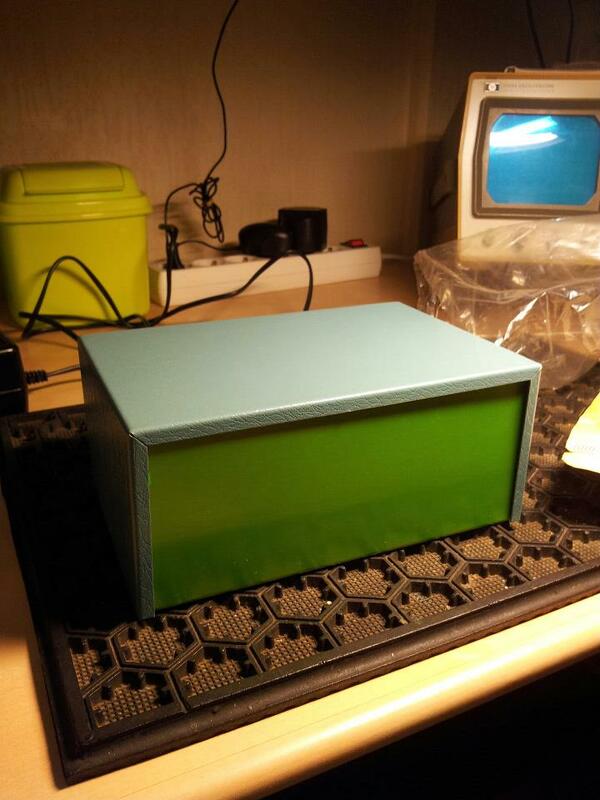 The next step are the capacitors. I'm lucky that I didn't continue directly with it. Today I got a email from Javier,EA3GCY, the developer of this kit. In this email he write that it's better to use 12 pF for the capacitors C15 to C19, instead of 22pF. With the value of 22pF the IF bandwidth is below 2KHz. Properly to small for SSB. Thanks for this advice Javier! Last weekend, 9 and 10 February, I participated in the PACC contest. For many years I'm operator by PA6W, in Tiel. Under this call we participate in the MOST class. This time with 5 operators, normal 7. Given the number of QSO's for us it has been a very successful contest. I'm also busy with the preparations for the Iler20 project. I have found in the "junk box" a nice new box. 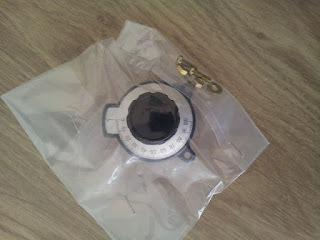 For tuning, I search for a "Ventier Dial", such a knob I have also on my 20 Howes transceiver. On Ebay I found a supplier in the USA. Saturday the knob was delivered by postmen. Last week I had the opportunity to buy an EndFed 10/20/40 for a reasonable price. This EndFed made ​​by PAR Electronics in the USA. The first results are promising. Nice reception at 40M. On 20M it need some help from the internal tuner, my 5 watts CW signal heard by a skimmer station in the USA and Canada. At 10M it was quite good and I could, with a output of 20 watts, work 3 stations, with CW, from the USA. Yesterday afternoon, the postman delivered the long-awaited package from Spain. A large envelope containing the components for the Iler20 20M ssb transceiver to build. 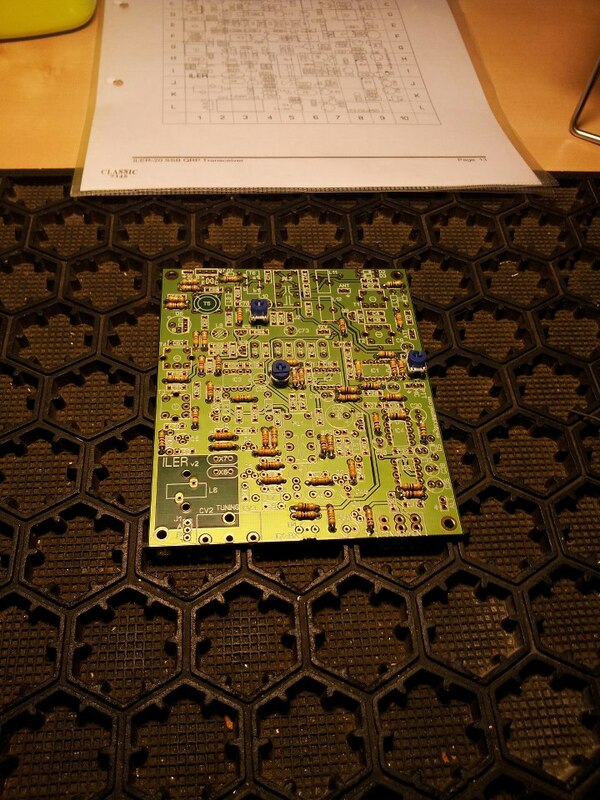 I start with the description carefully and try next week to start with soldering. Check my blog frequently to follow this Iler20 project. It's a few months ago I wrote an article on my blog. I'm still busy with my work, read books and do some household chores. Gradually there will be more time for the hobby and hopefully the weather will be better to do something with antennas on the balcony. In December 2012, I have the Yaesu FT7800 put on the shack table and after some problems to connect my PC, the new repeaters on 1 January 2013 programmed in my set. Installing a virtual com-port remains a painstaking task. Late last year I received a Moxon beam for 2M as a gift from a good friend. This antenna is build from scrap and the he gave it with the message "try this one". I searching for my photo tripod. Unfortunately, I didn't found. I'm afraid that it ends in the wrong container during my move to here. At a local hardware store they had a tripod with construction lamp in offer, I bought this one and put together. The construction lamp neatly packed behind. Then I mounted the Moxon in top and put it in the living room with an unobstructed view through the balcony. It was too cold to go to the balcony. The SWR is on the high side. Probably because the antenna is inside and not in "free" space. In spite of this I was able to make some QSO. The "new" repeater PI3UTR is no problem, the antenna is horizontally polarized. The snow is gone, now a higher temperature, then I can go out on the balcony for experiments.